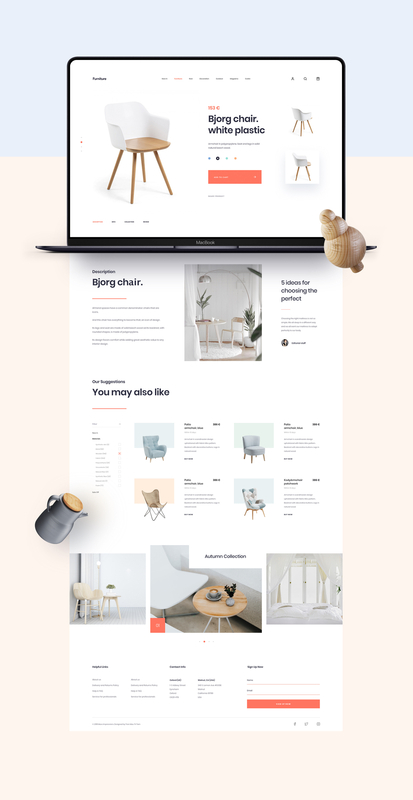 MI Furniture is a Free Multi-Purpose Sketch App Template built to showcase lifestyle, minimalistic and modern furniture and accessory websites. 07 Artboards are included in the design. The artboard is fully editable, layered, carefully organized. 👉 View all Free Landing Pages Design Resources.